Buying after relocating may not be best financial move. The number of homes for sale continues to decline, 5% month over month and 42% year over year. Under contract activity and closed transactions activity remains seasonal. 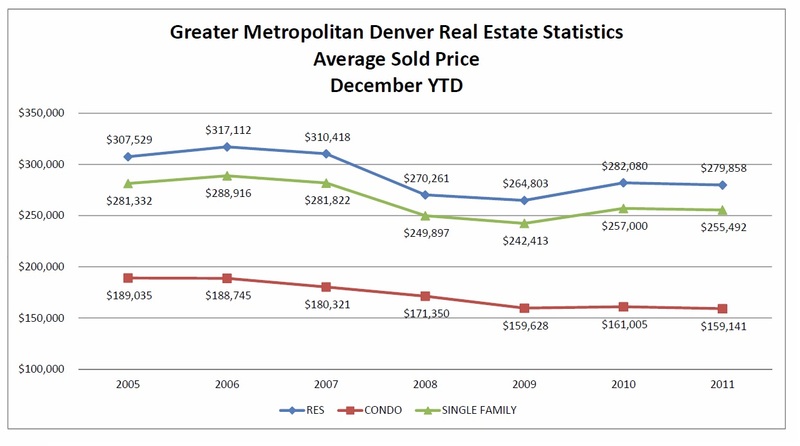 Pricing saw decreases in Single Family, Residential, and Condo. The inventory of unsold homes is at 10,443 units, down 5% with Dec ‘11 level and down 42% from Jan ‘11. 3,486 units were placed under contract in Jan ‘12, up 23% with Dec ‘11 and up 11% from Jan ‘11. 2,470 units sold in Jan ‘12, down 22% from Dec ‘11 and up 15% from Jan ‘11. Single Family average prices, $248,037 for Jan ‘12, decreased 2% for month over month and year over year. Residential average price, $272,328 for Jan ‘12, decreased 1% month over month and decreased 2% year over year. Condo average price, $146,544 for Jan ‘12, decreased 12% month over month and decreased 2% year over year. Condo median price, $113,000 in Jan ’12, decreased 6% month over month and decreased 10% year over year. Residential median price decreased 5% to $218,855 in Jan ‘12 when compared to Dec ‘11 and decreased 3% when compared to Jan ‘11. Footnotes: Active, Under Contract, and Sold presented as # of units. Anyone with any cash in hand should be buying a house right now. That’s what any real estate agent will tell you, obviously, but that’s also what many investors now believe. Unfortunately, the potential home-buying public … isn’t buying it. While national home prices and sales may not recover to their historical levels until 2013 at the earliest, some local housing markets always outperform others in any given year. In this second annual report (see last year’s report: Top 10 Markets to Watch in 2011), Inman News examined housing, economic and demographic data for metropolitan areas nationwide to identify 10 housing markets to watch in 2012. These markets are showing signs of strength in several key metrics, including above-average price appreciation, a flourishing job market, a high rate of sales in proportion to population, a high level of home affordability, low foreclosure activity, a below-average share of distressed sales, a low vacancy rate, and other characteristics indicating a healthy housing market. The inventory of active listings (unsold homes) started a downward trend in 2011 and ended the year 40% lower than the beginning of the year. Under Contract and Sold units were down 12% and 8% respectively when compared to 2009. Largest number of Residential and Condo properties sold in price range of $100,000 to $199,999 for 2011. Million dollar plus homes accounted for 502 Residential closings in ’11 versus 505 in ’10. Million dollar plus homes accounted for 38 Condo closings in ’11 versus 32 in ’10. 2011 saw introduction of several government sponsored home preservation measures with mixed results. 2011 saw mortgage interest rates remain relatively low at levels never seen for many years. Home transactions and pricing will remain relatively flat. Mortgage interest rates will remain low. Home affordability will remain high. Rental vacancy will remain low and rental rates will increase.